Kevin Cullum will become president of Nissan's American captive finance arm. Kevin Cullum, general manager of Nissan Canada Finance, will become president of Nissan Motor Acceptance Corp., effective Aug. 1, Nissan said Wednesday in a roundup of leadership changes. Alain Ballu, director of international projects and partnerships at RCI Bank will replace Cullum in Toronto at Nissan Canada Finance, effective July 1. Cullum will succeed Mark Kaczynski, who president of Nissan Motor Acceptance Corp. for six years. Kaczynski is set to become vice president of administration and finance for Infiniti Motor Co., also effective Aug. 1. The moves come less than a month after it was announced Nissan Canada Finance would become Mitsubishi Canada’s captive financing partner for vehicle leasing and loan services in “hopes that the new financing arm will attract more buyers,” the automakers said in a joint statement. 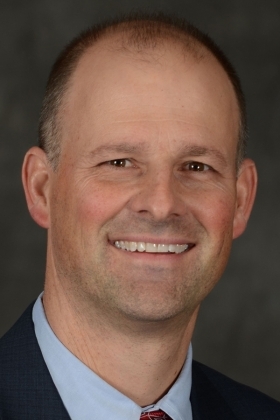 Cullum, as president of Nissan's American captive finance arm in Franklin, Tenn., will report to Rakesh Kochhar, senior vice president of finance and global sales finance business unit. Cullum has led Nissan Canada Finance for three years, according to his LinkedIn profile. Before he was general manager of Nissan Canada finance, he was president of Nissan Canada Extended Services, the automaker's Canadian F&I product unit. Kaczynski will be based in Hong Kong, reporting to CFO Joe Peter and Roland Krueger, president of Infiniti. Before heading NMAC, Kaczynski was controller of sales and marketing for Nissan Americas.